A student may choose to focus their studies within the BA program. Focusing on a specific study course is what we call “specialization.” There are several specialization options, shown below, all of which require eight tailored courses within that department. The Undergraduate College is a global academic community into which the qualified applicant is invited to become a member. Being a member of our academic community is a privilege and requires a rigorous commitment to the highest level of academic research through freedom, courage, critical thinking and truth-telling. 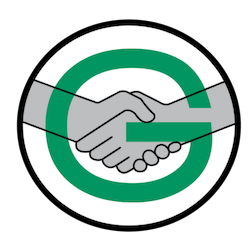 All members of our community adhere to the GCAS Code of Trust. The GCAS Bachelor’s program focuses on student empowerment through the practices of critical and creative learning. Through a variety of social and personal learning opportunities, including coursework, mentorship, group work, internships, travel opportunities, guest lectures and hands-on interactions with world-leading experts, visionaries and innovators, students at GCAS experience a unique education that helps to develop healthy learning and life habits. Our objective is to support students in their lifelong pursuit of learning by providing lasting tools in communication and media, self-confidence, and the creation of a global networks. The GCAS Bachelor’s program consistently strives for a pedagogy of joy and curiosity, enabling students to explore and enjoy the processes of learning and self-development so they may lead the next generation into a healthier future for all. The program follows our mission of providing rigorous, accessible, affordable and cooperative education for the betterment of our world.